Last May, M. Night Shyamalan helped bring Blake Crouch’s Wayward Pines series to the small screen as a ten-episode event. 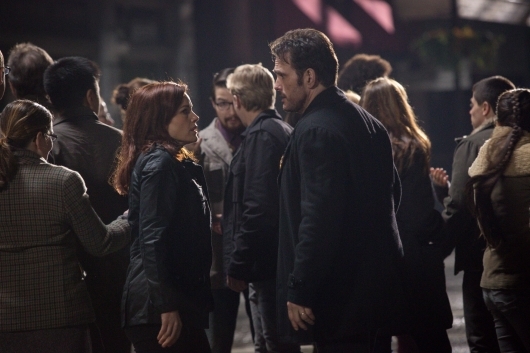 The sci-fi action drama featured a true all star cast including Matt Dillon, Carla Gugino, Juliette Lewis, Terrence Howard, Toby Jones and Oscar winner Melissa Leo. Dillon starred as Ethan Burke, a Seattle secret service agent who wakes from a car crash in the woods outside a quiet Idaho town. Soon we see the town is more of a totalitarian dictatorship with censorship, 24/7 surveillance, and the public “reckoning” of any dissidents. Why is it like this? 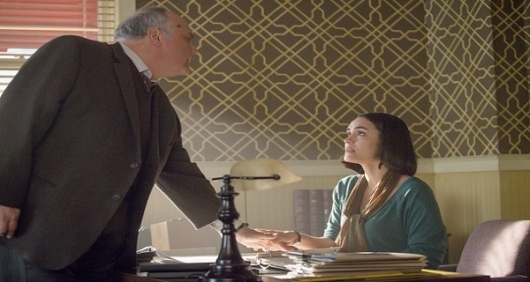 Burke is finally told the truth by the town doctor, who is actually the town’s founder, David Pilcher (Jones). Able to predict humankind would wipe itself out, and a new terrifying wave of evolution would sweep over us, Pilcher recruited many and kidnapped thousands of others to undergo cryogenic freezing, to be woken up at a later date as the last vestige of humanity. This is Wayward Pines. When everyone was let in on the scheme, it caused a rebellion and soon the walls were breaking down and the “abbies” (mutated former humans) were on the loose. Season one ends with Burke sacrificing himself to destroy the abbies and save his family and the remaining members of the town. Unfortunately the town was left in the hands of the “First Generation”; those born and raised in Wayward Pines, who continue Pilcher’s legacy. 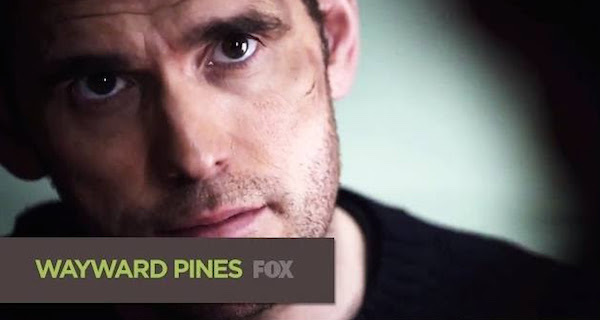 Check Out The Season 2 ‘Wayward Pines’ Clips! 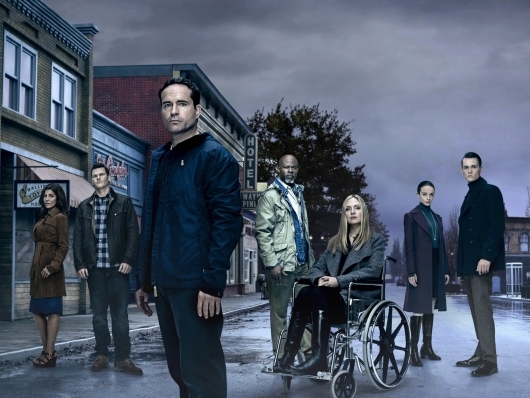 Wayward Pines debuted on FOX last May and became an immediate hit during its 10-episode run. The series, based on the stories by Blake Crouch, is about a strange Idaho town that is much more than it seems. Executive Produced by M. Night Shyamalan (who also directed the pilot), the show featured an amazing cast, including Oscar nominees Matt Dillon, Juliette Lewis, Terrence Howard, and Oscar winner Melissa Leo, alongside other veterans like Shannyn Sossamon, Carla Gugino, and Toby Jones. The show had a definite LOST vibe to it, mixing science fiction, supernatural, and intense drama. To get ready for the debut of season 2, FOX has released several short preview videos to prep audiences for the all new season, which starts next week. Check out the videos below including the in-depth recap of season 1. The whole season has hinged on one simple question; what is Wayward Pines? The all-too-perfect small Idaho town is full of surveillance, and the occasional “reckoning” of its dissidents. It’s protected by an electrified fence which keeps its citizens trapped or secure, depending on your point of view. The truth revealed is Wayward Pines is the last vestige of humanity, and it’s actually the year 4028. Humans were mutated into Abbies (monstrous vampire looking creatures) and David Pilcher (Toby Jones) recruited followers to join his “ark,” and were kept alive through cryogenics. When Ethan Burke (Matt Dillon) refuses to follow orders and execute Kate (Carla Gugino), he instead tells the whole town the truth about Pilcher, the surveillance, and the Abbies. Pilcher sees the writing on the wall for his town, and shuts down to power to everything, including the fences. With a plot to take down the electrified fence in full effect, Ethan Burke (Matt Dillon) is dead set to stop it. Burke is sheriff, but more, he knows the full truth about Wayward Pines – it is the last vestige of civilization in a distant future, surrounded by the mutated remains of what used to be humanity. Unfortunately, the people closest to him, his wife Theresa (Shannyn Sossamon) and his former partner/love interest Kate (Carla Gugino), think he’s gone insane or was brainwashed by Wayward Pines founder, David Pilcher (Toby Jones). When his son Ben (Charlie Tahan) gets caught in the crossfire, Ethan’s loyalties are pushed to the brink. 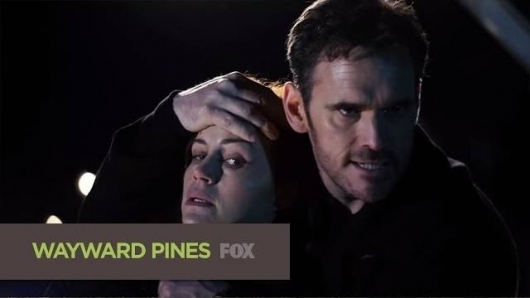 Ethan Burke (Matt Dillon) has undergone a fairly interesting character transformation in the past few episodes of Wayward Pines. He was possessed with getting out of the creepy town, murdered Sheriff Pope (Terrence Howard) and climbed a damn mountain all looking for a way out. What he found was “the truth”, told by scientist/inventor/philanthropist David Pilcher (Toby Jones). It’s actually the year 4028, and humans have mutated into monstrous creatures called “Abbys”. Wayward Pines is all humanity has left, saved via cryogenic sleep by Pilcher and company. Now Ethan has become their new avatar; the new sheriff who must deal with this secret while preventing others from following his initial lead to escape. The leader of that underground rebellion was his former partner and flame Kate (Carla Gugino). Last week’s episode ended with the bomb that was supposed to blow the fence detonating early and leaving Ethan’s son in bad shape. To quote Inigo Montoya, “Let me explain… no there is too much, let me sum up.” If you believe what we’re being told about the year in Wayward Pines, Idaho, 4028, and the town is the last vestige of human civilization – an ark designed by billionaire scientist David Pilcher (Toby Jones). He recruited Ethan Burke (Matt Dillon) to help him keep things safe, as there is a growing resistance force within the town, unaware of the dangers that lurk outside the huge electrified fences. Okay, I think we’re good. 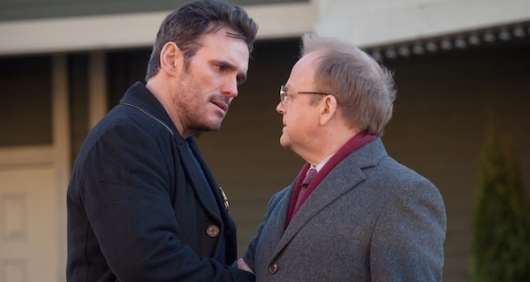 Back after a week’s hiatus and we now know the truth about Wayward Pines… maybe. Wayward Pines is Idaho in the year 4028. That’s right, 2000 years into the future. Humans have been replaced with “Aberrations” and Wayward Pines is all that’s left of civilization. Now Ethan Burke (Matt Dillon) knows the truth, and is being recruited to be the new man in charge of the town by the scientist who built the Pines, David Pilcher (Toby Jones). Meanwhile his son Ben (Charlie Tahan) is groomed as one of the first generation. C’mon… the episode is called The Truth?! No way! 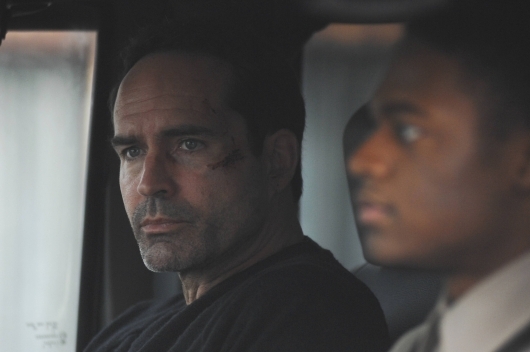 No way are they going to reveal the secrets of Wayward Pines in only episode 5… right? Well, they kind of do. I have to admit it’s refreshing to have a show answer the questions you have, even if you might not like those answers. I fell in and out of love with LOST quickly, due to feeling like I was being strung along hopelessly. With M. Night Shyamalan attached to Wayward Pines as an executive producer and director, one could be skeptical that everything would be revealed in a huge shock-and-awe ending ala The 6th Sense. Summer is here. The time has arrived for film buffs to catch up on films they may have overlooked in recent months. Put Frankenweenie on that list, an overlooked Tim Burton feature with funkiness and flaws a plenty. 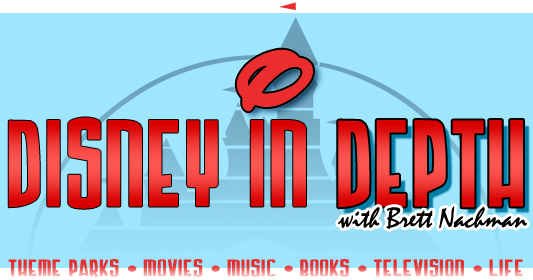 Let’s dig up my review of Frankenweenie on Blu-ray in this edition of Disney In Depth. The dog, man’s best friend. They possess the ceaseless loyalty, friendship and empathy that most humans only wish they could have. No wonder why the loss of a dog can bring about such sadness. Burton infuses immense passion and consideration into this pet project of his, finally adapted into this full-length, entirely stop-motion feature. 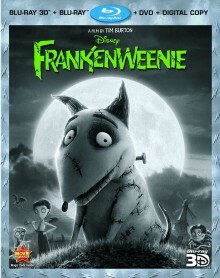 As you saw from our reaction post made earlier today, we are pretty excited for Frankenweenie. It’s a Tim Burton film that blends classic horror motifs (mostly from Frankenstein) with stop-motion animation and 3D effects. 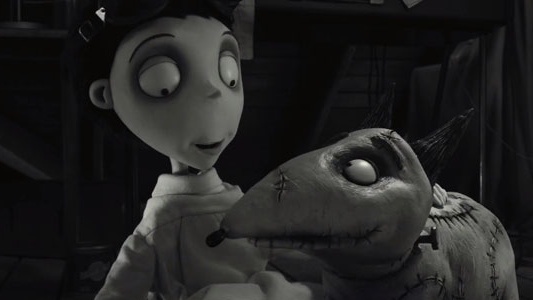 We’ve already seen two trailers for Frankenweenie, but none of them paid homage to the classic horror films the way this new retro trailer does.